Since the weather is keeping us on land, we thought we could take this opportunity to tell you a bit about the area we call home for 2 months a year. Lubec, Maine, is the easternmost town in the United States and literally a stone's throw from Canada (Campobello Island, New Brunswick). 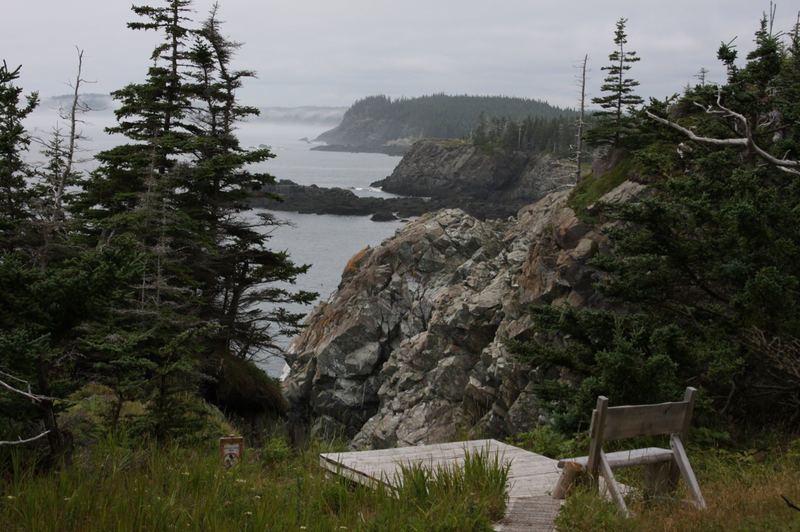 It sits atop a hill overlooking Passamaquoddy Bay, and has stunning views in every direction. The natural beauty of the area--rocky coastlines, misty islands, and rolling hills covered with blueberries--never fail to wow first-time visitors. The woodlands are lush and mysterious, thick with moss and lichens. Bald eagles frequently soar overhead and seals frolic in the Lubec Narrows (the channel between Campobello Island and Lubec that turns into a rushing river of salt water at the peak of the incoming or outgoing tide). Named for a town in Germany, Lubec, Maine, is sleepy now (Pop: 1200), but it was once a bustling city --the sardine capitol of the world. Not only were there 48 sardine canning factories, but the town boasted herring smokehouses, movie theaters, hotels, four post offices, steamship service from Boston and a ferry to Eastport, Maine. The peak of Lubec's economic prosperity came during WWII when demand for herring and sardines was high and foreign imports were few. But in the years following the war, foreign competition increased, American tastes began to change (when was the last time you had smoked herring? ), and fish stocks became depleted. With those three factors came a long economic decline. One by one the various factories went out of business. The McGurdy Fish Company was the last operating commercial smokehouse in the U.S. when it finally closed its doors in 1992 (it is now a historical interpretive site open to the public). All the sardine canneries have shut down, with one exception--Peacock's-- but instead of sardine canning, they now raise urchins and sea cucumbers for foreign markets, and extract salt for "Quoddy Mist" sea salt. The steamship and ferry service stopped decades ago. The closest big city (and big airport) is Bangor, a two hour drive inland, and the nearest movie theaters are in Calais (pronounced Cal'is) or Milbridge, both an hour away. 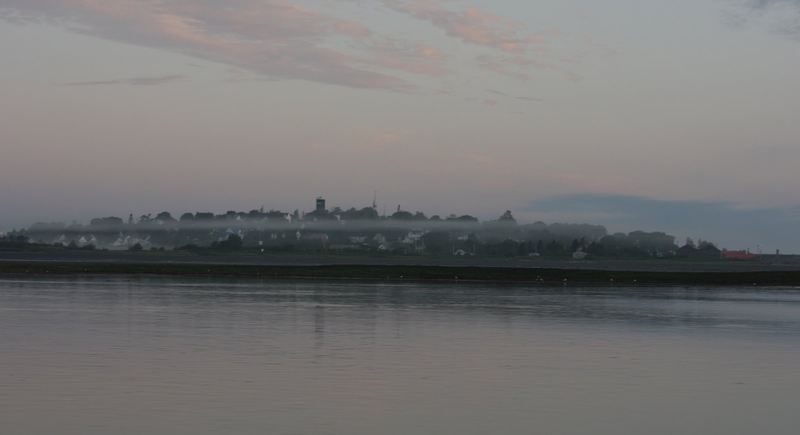 But Lubec still has a lot to offer. There are restaurants and coffee shops, a good library, a few B&B's ... and two chocolate shops! There's also a popular music school called SummerKeys that brings musicians to the town and offers wonderful concerts during July and August.